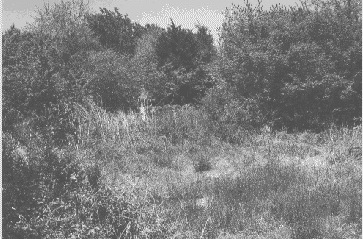 Alex Murchison donated 2 acres of land for a public cemetery on August 14, 1880, with the deed registered in Vol 11, p 584. It was used for burial before that since the earliest grave is for 1860. The cemetery was not used after 1905. The Honaker Cemetery is on the south side of CR 1027. Together the cemeteries are sometimes called the Twin Cemetery. According to the deed, CR 1027 was part of the old Bonham/Farmersville Road. See information on the Honaker Cemetery. The Murchison family plot is about 100 feet north of the roadway. It has 3 or 4 markers about 10 feet high and is surrounded by a wrought-iron fence. This cemetery is totally neglected. 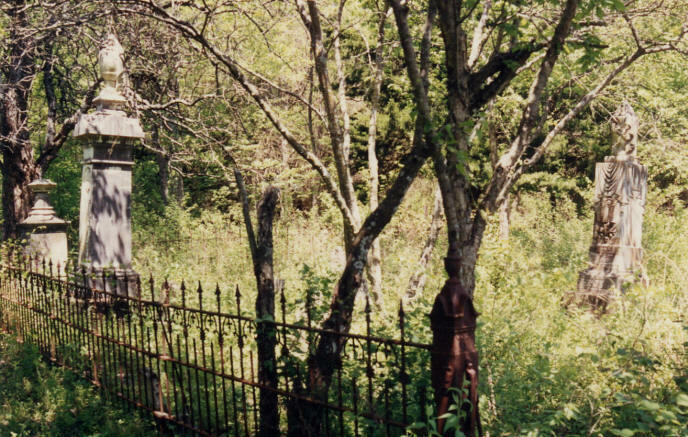 Neither cemetery is visible from CR 1027 because of the vegetation. The Sheriff's Department has cleaned the cemeteries many times.